Weight loss have been in vogue for some time now, as a result of the increased rate people are gaining extra pounds this days, all thanks to the cravings of certain group of foods that fosters weight gain. There are so many articles and programs on weight loss you can find in books, ebooks and all over the internet, all crusading against weight gain. One part of the body that looks so bad when an extra flesh is been added to it is the belly. Do you normally find yourself in a situation where you need to have a second thought before you wear a fitted shirt or figure-hugging dress? If your reason is because of your pot belly (big tummy), then i totally understand your plight. Having an uneven body shape, with a protruding stomach can place you in a position of always been self-conscious, especially when you find yourself in the public. There are also undesirable health risks associated with a pot belly. Most times, even when you are not necessarily overweight, your tummy alone can just appear big. This alone can ruin your overall appearance. However, in other situations, if you are overweight, you tend to have a lot of fats accumulated around your belly. 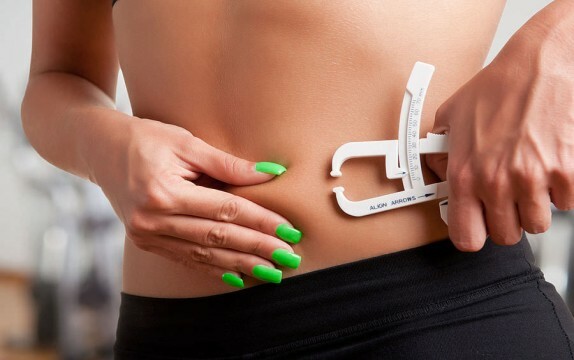 Other reasons can also contribute to this accumulation of belly fat too, such as hormonal disorders, post-pregnancy weight, constant indigestion, desk-bound jobs, unhealthy diet, excess consumption of alcohol, etc. Whatsoever is the cause of your own belly fat, it can lead to a number of health risks such as hypertension, cholesterol, knee pain, back pain, cardiovascular disorders etc. If you are someone who does not have enough time to engage in exercises and want some quick easy tips on how to lose belly fat effectively in just a month, below are some few tips you can follow to achieve reasonable result. Read on! Consuming an excess of salt from your diets can result to fluid retention in your abdominal area, which eventually makes your belly to appear bigger. So, in order to curb this menace of belly fat, then have a reduction in your intake of salt. This message is especially meant for the ladies and maybe some few men. Research have shown that people who chew gum on regular basis, tend to swallow more air and also the sweeteners added to the gum can lead to the accumulation of belly fat. Eating curds, unsweetened yoghurt, etc, that are rich in probiotic content, can improve your digestion and also reduce belly fat. Although most types of alcohol contributes to weight gain when taking in excess, beer in particular is especially bad for the stomach, because it is high in calories and starch content. This might sound strange, but it is quite true, you have to avoid certain types of vegetables. Vegetables like broccoli, potato, cabbage, and cauliflower can lead to the production of excess gas in your belly, leading to bloating and false accumulation of belly fat. You should form the habit of consuming lots of fruits on a daily basis. Eat at least 1 to 2 bowls in day, because the vitamin C and the antioxidants found in most fruits are effective in burning belly fat. Quit the habit of smoking, so that you can attain a flatter tummy. Smoking tends to increase the amount of cholesterol in your body, which results to the accumulation of excess belly fat. If you wish to cut down that fat in your belly, then you can adhere to tips listed above. In no distance time you will easily achieve your goal. Do us a pleasure by simply sharing this post with your friends on Facebook and Twitter, you never which of them might be needing it. Use the social share icons below to carry out the share.